MS Dhoni- the name itself creates an image of a captain in our minds. Even though he is no more the skipper of the side, but still, he remains the leader whenever he steps into the ground. Even when the Indian team is bowling, he remains at the helm of affairs directing the bowlers(thanks to the stump microphones), monitoring the field and assisting Kohli in critical situations. 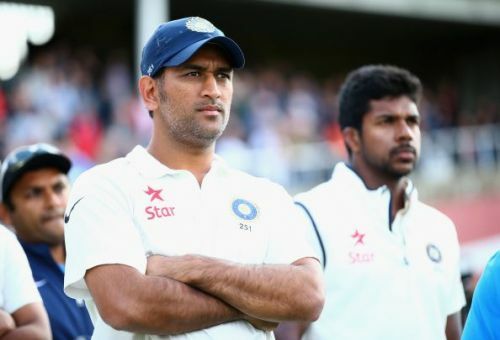 Dhoni is calm but still aggressive in his own ways: his astute mind and street smartness are second to none. Captaining the Indian cricket team for a decade is no easy task, but he handled it with a calm and graceful demeanor. From his illustrious career, we choose top 3 unknown incidents which proved his mettle as a true captain. Beating Australia in Australia has always been a herculean task and a loss for the Aussies was more of an upset back then. It was the league stage of the CB Series and the Indian bowlers restricted the Aussies to 159. Chasing the total, with MS Dhoni and Rohit Sharma at the crease, India required final 10 runs to win the match. At this juncture, MSD strangely called for a strange change of gloves. It was Suresh Raina who carried the gloves. Actually, he was sending a vital message back to the pavilion. "Nobody will celebrate on the balcony once we win this match". Meanwhile, in the middle, Dhoni was handing down instructions to Rohit, on how the youngster should conduct himself while shaking hands with the Aussies once the match got over. Dhoni wanted to prove that the Indian victory was not just an upset, it was a clinical victory. This was a brilliant mind game which befuddled the invincible Aussie team. This message got into the minds of the Aussies and eventually, India won the CB Series.